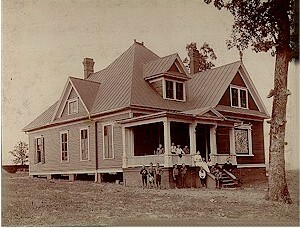 1871 – The Methodist Orphan’s Home dedicated in Norcross to serve children orphaned from the war. It moved to Decatur in 1873. 1951 – Residence peaks at 150 children in the 1950s and 60s. 1970 – Begin admitting children of other faiths and all races. 1973 – The state deemphasizes group homes for children under 5 and encourages foster care. UMCH’s group care ministry continues to thrive. Foster Care begins as one of the first faith-based licensed agencies in the state. 1997 – GA law requires timelines to return children to their parents or to terminate parental rights. 2010 – Campus-based group care is discontinued and Family Housing and Independent Living ministries are expanded. 2011 – Foster Care service is expanded out of a new Gainesville office. 2012 – Longstanding CEO Bev Cochran retires. He is lauded by child welfare advocates for his longstanding efforts to organize peer agencies who advocate for policies and practices that positively impact at-risk youth and families. 2015 – A new, five-year strategic plan through 2020 is unanimously adopted by the Board to expand foster care, and to implement evidenced-based programming for Family Housing, Independent Living and Transitional Living. 2016 – Rev. Hal Jones, an ordained Elder of the UMC, joins as CEO. Foster care grows from 80 children in care to 110 kids in care as a result of many new church partnerships. A new office is opened in Newnan to expand foster care south of I-20, thanks to our friends at Newnan First UMC. 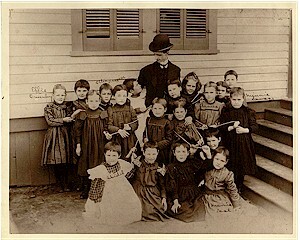 The United Methodist Children’s Home was established in 1871 to care for children orphaned during the Civil War. Originally called the Methodist Orphans’ Home and located in Norcross, the Home moved in 1873 to our present location in Decatur. By the early 1930s, the Home was serving large numbers of children who could not be termed orphans; therefore, in 1934 the trustees approved changing the name to Methodist Children’s Home. Our campus had its own water system, school and church, and provided much of the food for the children from the farm. 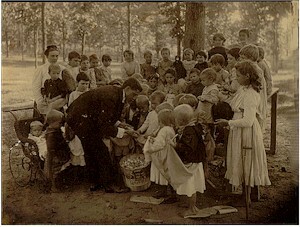 Elementary students continued in the on-campus school until about 1950, when they were absorbed into the DeKalb County system. Farm operations decreased over the years and were completely stopped in the 1960s. The two primary services we provided initially were orphanage care and higher education assistance. Many children came to the Home at an early age and stayed until they went away to college or out on their own. Capacity was 150 by the late 1960s. Over the years, the Children’s Home began offering additional services to children, teens, and families, including foster care, adoption, independent living, transitional living, and family housing. In August 2015, the Board of Trustees approved a new strategic plan that would expand our foster care services. To meet Georgia’s growing foster care crisis, we are expanding our services from serving an average of 100 foster children per day, to 500 per day by 2020, in partnership with local churches. For more information on our current programs for children, teens and families, click here. For information on how you can help, click here. If you are interested in reading more about Children’s Home history, contact the Public Relations department for information about ordering Home Life: A History of the United Methodist Children’s Home.